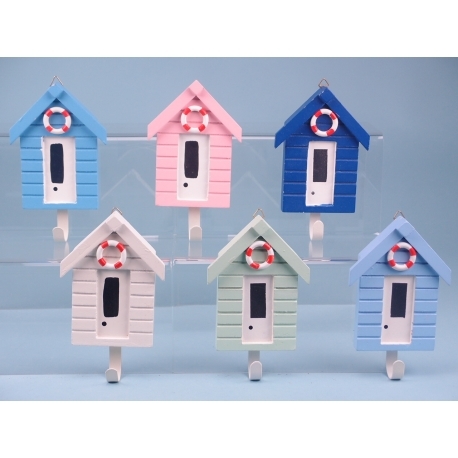 Available in a selection of six colours, including three shades of blue, pink, grey and green, your customers will love these charming Beach Hut Wall Hooks. These lovely beach huts feature a realistic wooden panelling effect, as well as life ring and white door for a striking effect. Are you looking to supply aesthetically pleasing yet highly functional products that you customers will love? If so, these Beach Hut Wall Hooks are sure to go down a treat. Available in a selection of six colours, including three shades of blue, pink, grey and green, your customers will be spoilt for choice. These lovely beach huts feature a realistic wooden panelling effect, as well as life ring and white door for a striking effect. 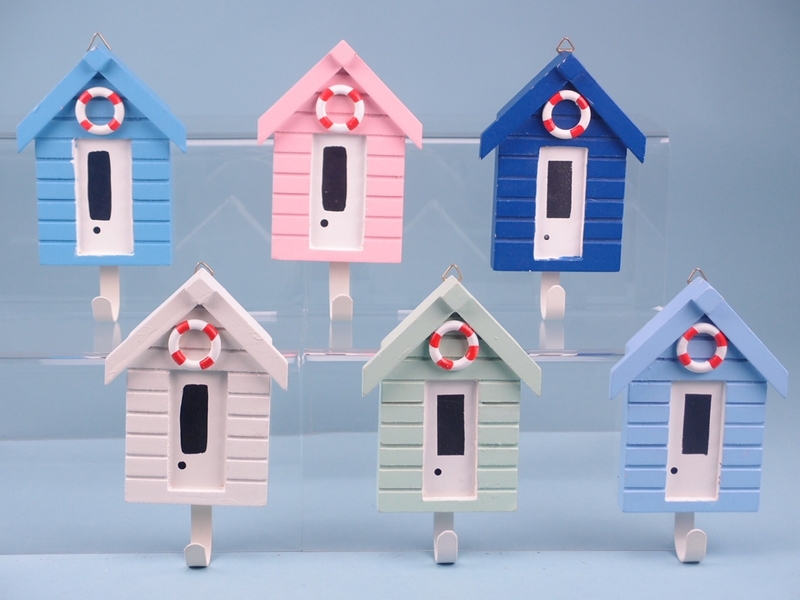 The beach huts also feature a convenient hook, making it ideal for hallways, bedrooms and bathrooms, and would make a lovely gift for any beach lover.